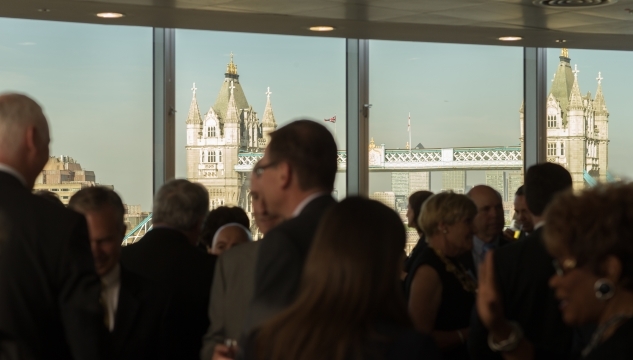 The Tower Room offers stunning views and the versatility to accommodate a variety of events from conference, theatre and cabaret style meetings to corporate events, receptions, product launches and workshops. With 180 degree views over the River Thames, the Tower of London and iconic Tower Bridge, the room features natural daylight complete with blackout blinds, and is fully equipped with hi tech AV equipment and WIFI. Hire this amazing space, which holds up to 80 people, for prices starting at £950. I was really impressed with the team, very flexible, quick to respond and helpful. The space was perfect for our event and everyone commented on the room and what an inspiring space it is.